You have a beautiful dress, the perfect wedding venue, the snappiest photographer, the prettiest bridesmaids and the most fabulous cake. What else do you need? For us to arrange to arrange your Wedding Car Hire. The very finest in chauffeured wedding car hire, which is what we offer at Season Car and Chauffeur Hire. We specialise in affordable, luxury chauffeured wedding car hire, so you can have the car of your dreams for the most special day in your life. With a long history of proven expertise, Season Car and Chauffeur Hire is London’s preferred wedding car specialist. We offer a wide choice of stunning vehicles available as part of our wedding car hire, ranging from traditional Rolls-Royce to Lamborghini. Our professionally trained, courteous and immaculately turned out drivers will chauffeur you in style and comfort. We guarantee to provide you with the luxury you deserve on this important day. Are you planning a traditional wedding and require several chauffeur driven cars? In addition to the bridal car, we can also offer luxury cars for the groom, the bride, groom’s parents and the bridesmaids. Additionally, larger vehicles can be provided to transport your guests. Or perhaps you’ve chosen a more modern wedding theme and would like a self-drive Wedding Super Car? You can select from our fleet of prestigious New Generation cars, including Lamborghini, Ferrari and McLaren. The definition of what is a truly modern wedding car is open to debate, as cars age and models vary. Generally, it is accepted that any vehicle made within the last 10 years is classed as modern. Although there are, of course, many modern cars to choose from, there are certain makes and models most often used for weddings. Choose from Rolls-Royce, Bentley, Mercedes, Lamborghini, Range Rover, or pick a less traditional model. The Rolls-Royce Ghost is probably the most luxurious car on the market today. Named after the famous ‘Silver Ghost‘, which was produced by Rolls-Royce in 1906, the Ghost is a supercharged prestigious saloon which will transport you in luxury like no other car. The Ghost, Cullinan or Phantom is available in either black or white. Rolls-Royce Phantom is also a traditional car for wedding car hire. It has an opulence and a presence second to none. It is available in black. If your preference is for a Bentley, look no further than the Bentley Mulsanne or Bentley Flying Spur. 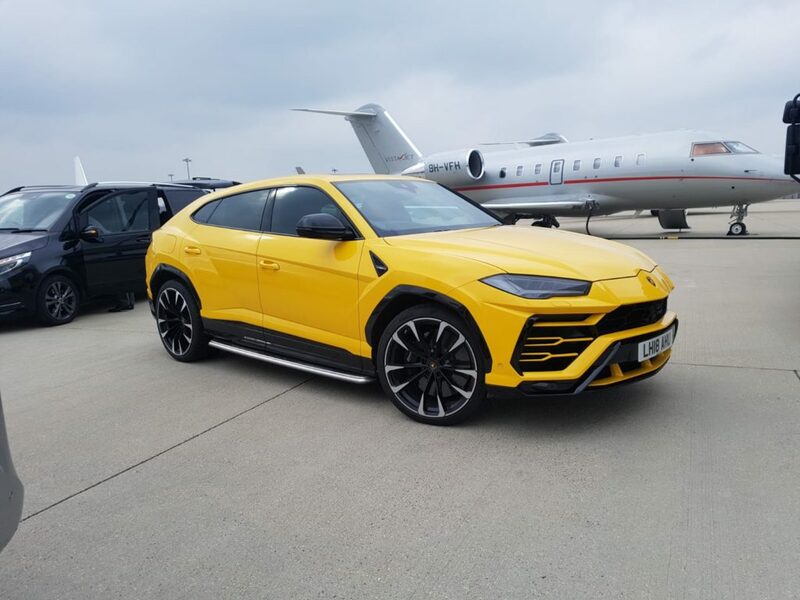 These stunning cars have a distinctive look and feel as one of our most popular choices for luxury wedding car hire London. The Mulsanne is available in black or White along with the Flying Spur. Season Car and Chauffeur Hire also runs a superb fleet of prestigious wedding generation Super Cars. We have models from Aston Martin, Audi, Bentley, Ferrari, Lamborghini, and McLaren. In addition, our cars are available in a variety of colours suitable for your special wedding day. Not only can we transport the main wedding party, we can also provide larger wedding vehicles for the wedding guests. At Season Car and Chauffeur Hire, we have several options including 8, 12, 16, 20, and also 40-seat minibuses. Whichever options you prefer, we can cater for everything you need in wedding car hire. We will be happy to discuss the many alternatives open to you for your wedding. All above prices include pick up within the M25 and 10 miles per hour. We have various colours available ranging from white, grey, black, and silver. An example of one our wedding cars is below. This is a Rolls Royce Ghost available in white. All our chauffeurs are experienced chauffeurs who have vast experience in Wedding Chauffeur Service in London.